Home » Start drawing (digitally), NOW! Firstly, anyone can draw! We all have a different style and not all drawings are for display or public viewing. They can be done just to think out an idea or record something we see. Perfection is not necessary and not every drawing should be a ‘masterpiece’. It’s a great way to slow us down and it allows us to study an object or view – it’s too easy to take multiple photographs of a place or thing and believe we looked. Drawing digitally is straightforward. Basically, you will have a digital canvas and you’ll be making marks all over it. It is an extremely versatile and fun way of making art and, from personal experience via teaching, all age groups can do it. You can view videos of my drawings being created on an iPad/iPhone, some drawing apps record (e.g. 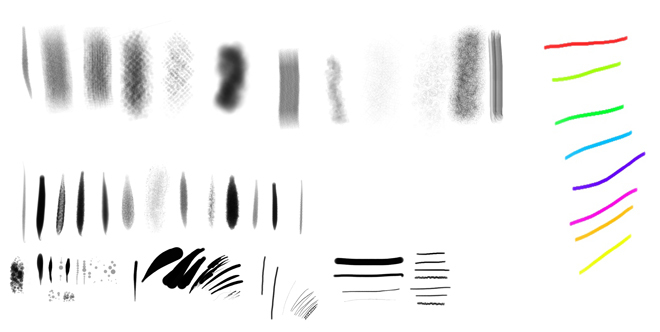 Brushes Redux and Procreate) the whole drawing process. 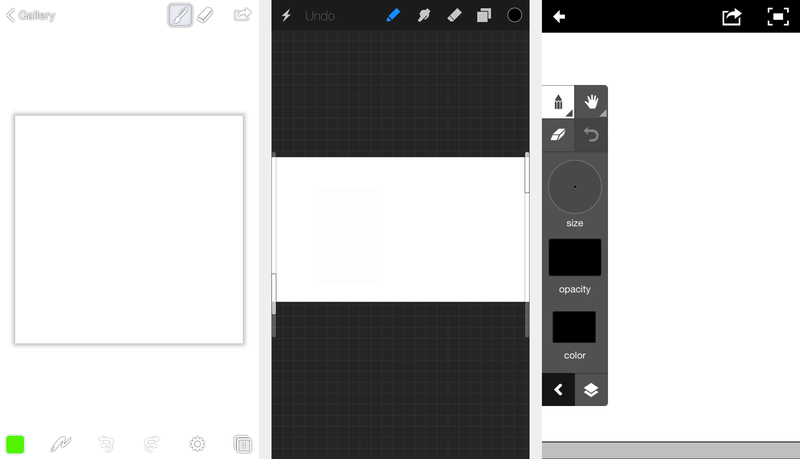 In this article I’ll be showing you loosely five of the steps to drawing on mobile devices. Using a PC or laptop will use similar principles, but you’d be using a stylus or mouse instead and probably different software. A stylus can be used on mobile and tablet devices too, though I tend to just use my finger, which I encourage; it’s one less thing to lose, buy or carry. Get used to the drawing tools and their sizes, textures and colours. It’s a challenge learning what button does what and identify where the tools you want are. Your first piece may be a mess, it doesn’t matter, treat your first drawings are experiments. Experiment with as many different textures, colours and sizes as you can to make marks on your digital canvas, in this way you’ll discover what effects they create and the potential of your app. 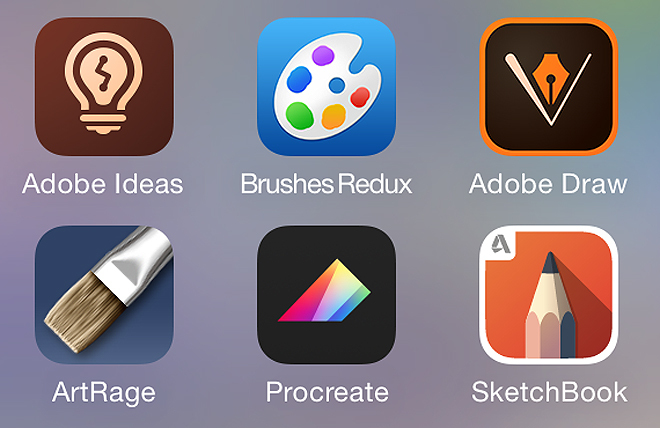 Most drawing apps work in similar ways with the same tools and ideas. It will be the layout and appearance of these tools that will vary. Below are a few screen shots of different apps as they appear on iPhones, it will vary between devices. 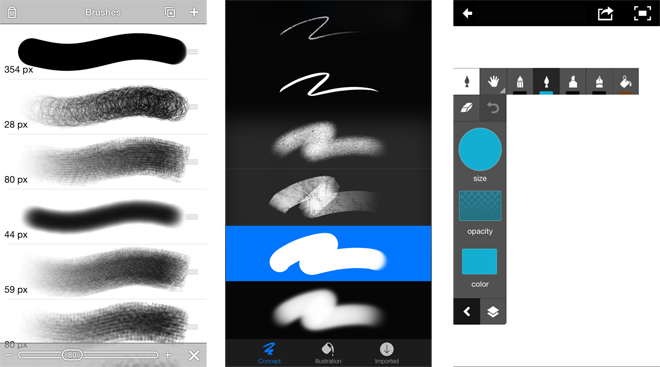 Changing colours and opacity: Displays of colour palettes where the colours of the drawing tools on different iPhone drawing apps can be changed along with their opacity, all look different but do the same action (From left to right: Brushes Redux, Procreate and Adobe Ideas app). Changing textures and size: The textures you draw with can be changed, often to mimic the effects given by different physical/analogue media like charcoal, watercolour or pen, and the size or thickness can also be controlled (From left to right: Brushes Redux, Procreate and Adobe Ideas app). Find a place, any place: home, commutes, holidays or going out. 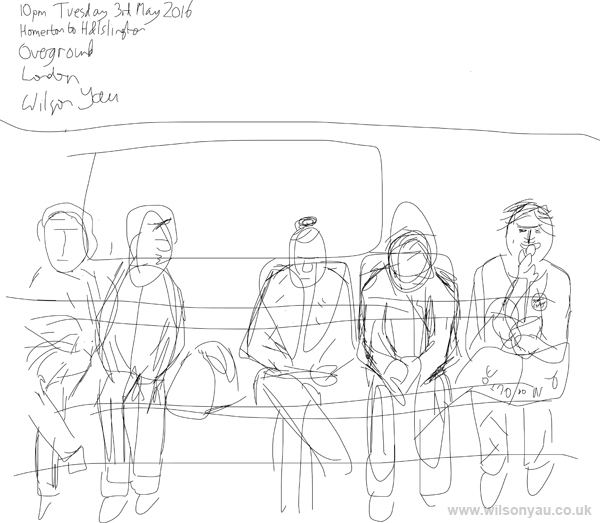 You can create a quick sketch of what you see or even imagine, using simple lines or blocks of colour. Most apps allow you to zoom in to add details, which overcomes digitally the small physical size of your mobile or tablet device. Drawings can be done in seconds, or can be worked on over the course of several sessions; below are examples of both. The first drawing I created on an iPad, 22nd July 2011 (here the app used was Brushes 1) created in a few seconds. 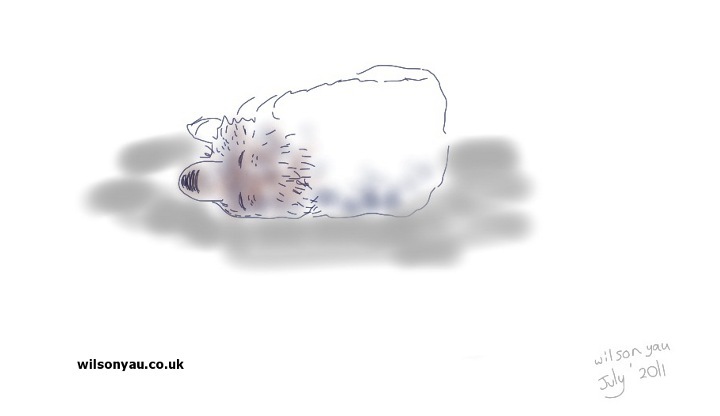 The next day I began drawing other subjects: Rufus the dog, Gunmakers Tavern, London, 23rd July 2011, drawn over several minutes whilst I had a pint. 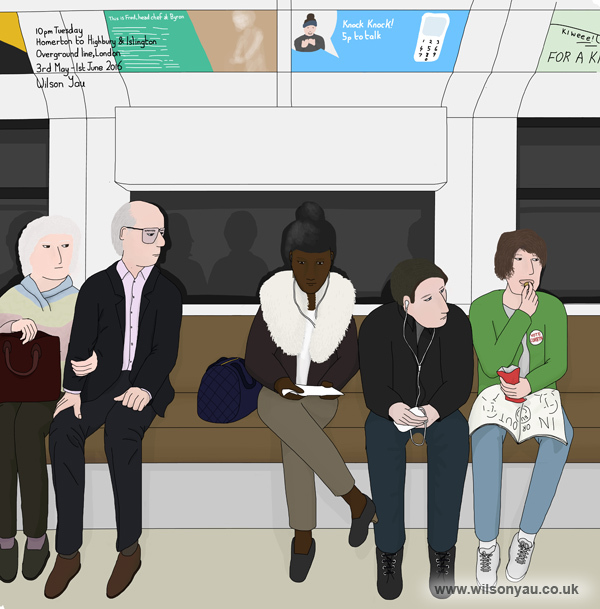 Completed drawing: After almost a month, this drawing which was based on an initial sketch (of Tuesday evening, London, 3rd May 2016) was completed on 1st June, mostly during my commutes. 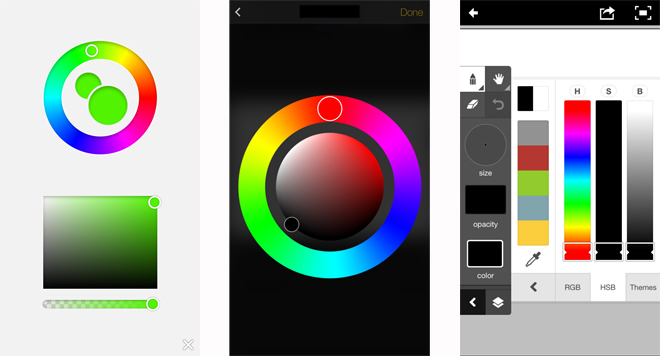 Your app may offer you a canvas that has multiple layers, where anything drawn on the top layer masks those below (you should be familiar with this idea if you use Photoshop). These muliple layers are like seperate layers of paper, allowing you to keep outlines, background and foreground elements of your drawing seperate for editing. All layers: All the layers placed together create one drawing. 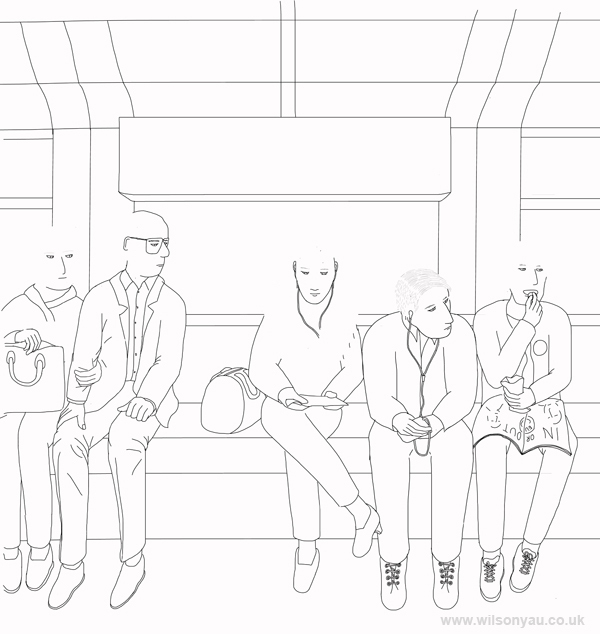 Layer 1, lines: In this drawing, all the lines are on one layer, in this case this is the uppermost layer. In this drawing, the foreground and background were kept on seperate layers, enabling me to change the background easily to create three different drawings. I use this frequently. It will allow you to undo your last actions, though how far back will depend on which app you choose to use. You can draw with the knowledge that any bad choices, mistakes or experiments gone wrong on your work can be changed by a single button or gesture of your finger. 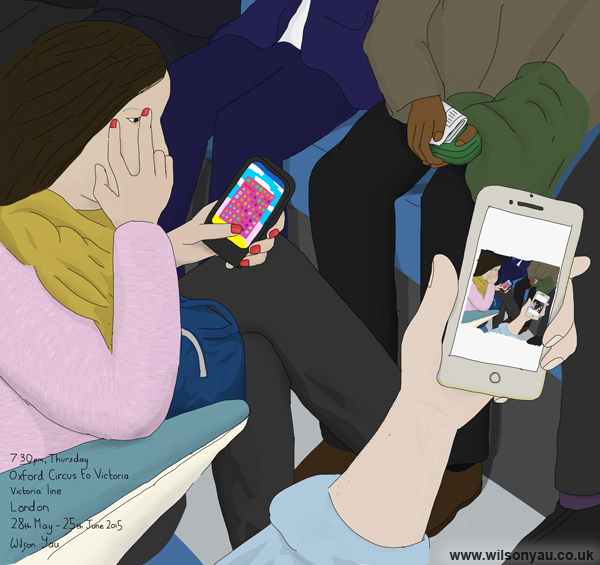 The digital work you produce can immediately be shared online or messaged; I put some of my work on this website or on Facebook. Like with computers, it’s best practice when you produce any electronic file to make sure you save it somehow off your mobile device, whether that’s via social media, a blog (Tumblr is one option), photo sharing site (think Flickr), a hard drive (even a USB stick) or cloud storage sites (Dropbox is one). It will save heartache if the worse should happen. Confusingly, different apps will produce art work in different formats, with the most common being JPEG (probably the most prevalent and easy to share online and edit), PNG, Photoshop and PDF files. The most important thing is just to save your work in one of these formats. If you’re someone like me, who grew up in an analogue world with paper and canvas, you might find drawing on a piece of glass with a finger quite a shock to deal with. At the start it can be fustrating. It takes time to train your brain to know where your finger is in contact with the screen, because your finger is in the way! It’s about practice and getting used to working differently – never be disheartened by it not ‘looking right’ and having to work in an unfamiliar way – just have fun! It will make you draw differently. Where and when you create art will change too, which I found isn’t a bad thing at all.